Beware! Samtrade FX is an offshore broker! Your investment may be at risk. 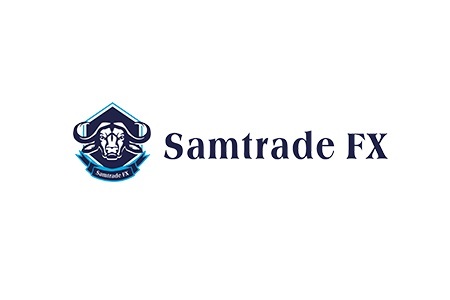 Samtrade FX is an offshore broker offering a selection of over 30 forex pairs and some CFDs with the MetaTrader4 platform and leverage of up to 200:1. Trading instruments include some exotic currencies like Singapore Dollar, Hong Kong Dollar and Chinese Yuan, as well as CFDs on gold, silver, platinum, oil, indices and bitcoin. As tested with a demo account the benchmark EURUSD spread floated around 1,8 pips, which is slightly higher than the levels, traders usually expect with a standard account. And yet our main concern with the broker lies not with its trading conditions. If you are thinking about trading with them be sure to read the following paragraphs. Samtrade FX is owned and operated by Samtrade FX Ltd. – an offshore company incorporated in Vanuatu and registered with the local Vanuatu Financial Services Commission (VFSC). Our issue with regulators such as the VFSC is that their licenses are basically worth not more than the paper, on which they are printed. A Vanuatu license in no why can be compared with a license issued by the Australian Securities and Investments Commission (ASIC), the Financial Conduct Authority (FCA) in the UK or any other regulator in the EU like the Cyprus Securities and Exchange Commission (CySEC) for example. On one hand the Vanuatu based Commission simply lacks the capacity to oversee internationally operating brokers (take a note that Vanuatu is situated in the middle of the South Pacific), and on the other, the VFSC basically has no regulatory requirements compared to the regulatory regimes of FCA, CySEC or ASIC. On top of that all brokers licensed by EU regulators like FCA or CySEC are even obliged to insure part of the trading capital. Thus with a CySEC broker your insurance will cover up to 20 000 EUR of your funds, while with a FCA broker the insured amount will be up to 50 000 GBP. Samtrade FX accepts payments with VISA and MasterCard, as well as bank wire and UnionPay, which is a preferred payment method in China. The broker, however does not accept payments with Neteller and Skrill – popular e-wallets – and that is worth noting, because since last fall Skrill adopted a new anti-scam policy, according which all brokers using Skrill and targeting customers in Europe should prove they hold a legit license. As we noted a license form Vanuatu does not count for a legit license. Also be aware of any trading bonuses that Samtrade FX might offer you. All such promotions are linked to special withdraw conditions, which quite often prove too difficult to fulfill. Scam operations are a serious business involving lots of resources, including international call centers and the so called robo scam websites like Crypto Revolt and Bitcoin Evolution, that are especially designed to trap careless traders. If you stumble across one of those anonymous robo- scam websites, basically you will be greeted by a very well shot video add and some incredibly lucrative offer for fast and easy returns, of course completely risk free, in exchange of a small investment. And if you are interested, in the beginning you will be asked for nothing more than your e-mail and phone. Than, if you fill the registration form you will be transferred to the web page of the real scammers – an offshore broker, where you will have to deposit your first 250 USD. In the beginning trading with a scam account might seem like a lot of fun – you will be overwhelmed by trading signals and advises by your “account manager” – both by phone and e-mail – and all your deals will seem successful and amazingly profitable. That however will be just a part of the scam. All deals will be manipulated, because the goal of the scammers will be to trick you to invest a larger sum. And about the same time you will receive yet another phone call, this time by a “senior account manager”, who will basically explain you that if you really want to make some decent cash, you will surely have to invest more – at least 10 000 USD or so. Now, take a note that you may never realize that you have been scammed unless you request to withdraw some of your funds. Than it will suddenly turn out this is not possible, because you have not fulfilled the withdraw conditions you have agreed with, when you received your trading bonus – usually some minimum trade volume requirement. Whatever the excuse, the bottom line will always be the same – your withdraw requests will be canceled, all your positions will suddenly turn red and in no time all the funds in your account will evaporate. Though there is not much you can do in case you have fallen victim of a scam, immediately file for a charge back with your credit card provider. Fortunately both VISA and MasterCard accept charge back requests within 540 days. And be sure not to send scammers copies of your ID and a proof of address (an electricity bill for example). If you have send them such private information freely, they will have a much stronger case, when you file your charge back request. And if by any chance scammers have tricked you in to telling them your credit card number or online banking password, immediately change the password and cancel your credit card. And be sure to avoid the so called recovery agencies. They will not recover you any of your funds, but will simply charge you some upfront fee and leave you even more miserable.